Dr. Christine McGinn, D.O. 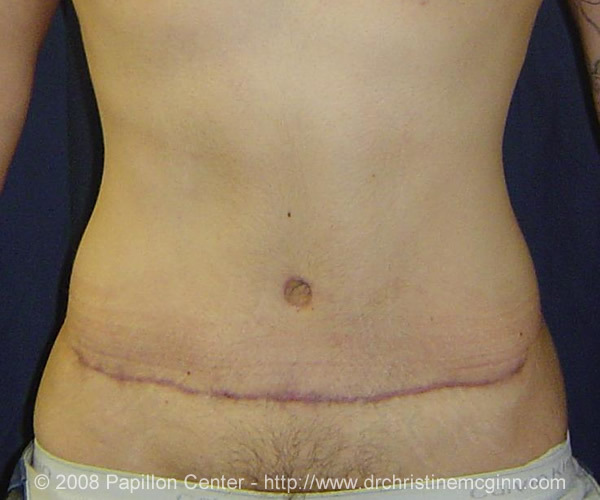 removes excess skin and fat from the middle and lower abdomen in order to tighten the muscle and fascia of the abdominal wall. 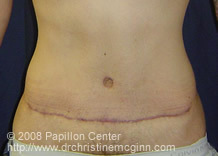 This is a cosmetic procedure that is also useful for reducing the sagging skin after pregnancy and major weight loss. 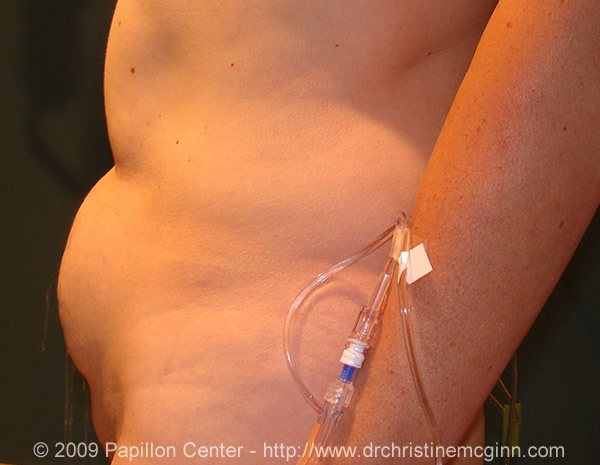 This procedure is popularly referred to as a tummy tuck. 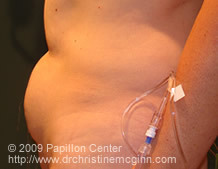 This an out-patient procedure, however you will not be permitted to drive or be alone for 24 hours following surgery. Papillon Center requires all patients to not smoke for one month prior to any surgery. Dr. McGinn requires patients to remain in the Doylestown area for five to seven days following surgery. Click to Enlarge Pictures. 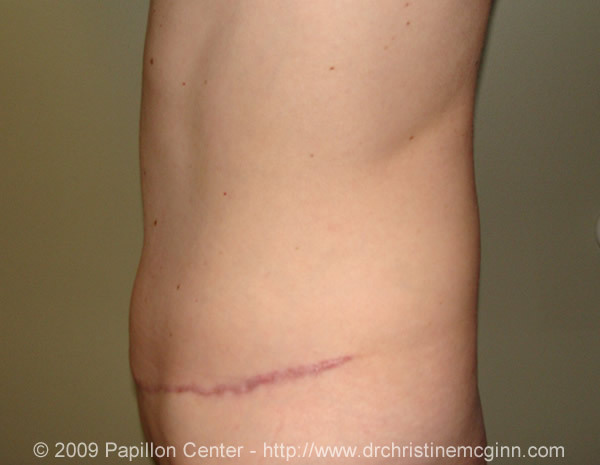 Pre-operative pictures are to the left, post-operative pictures are to the right. 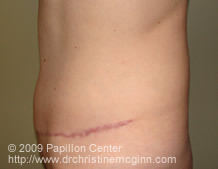 These pictures are from six months after surgery.